I am Bruno Faidutti. 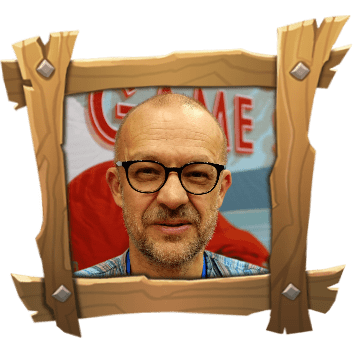 I am an old game designer – my first design were published in the eighties, and I am now 55 years old. I am also an historian, and wrote my PhD about the lore of the unicorn. Aside from game design, I am teaching economics and sociology in a Parisian high school. I’m also an avid gamer, and have, at various times, played chess, poker, larps… almost everything, though I’ve never been much excited by computer games. In theory, Cosmic Encounter. 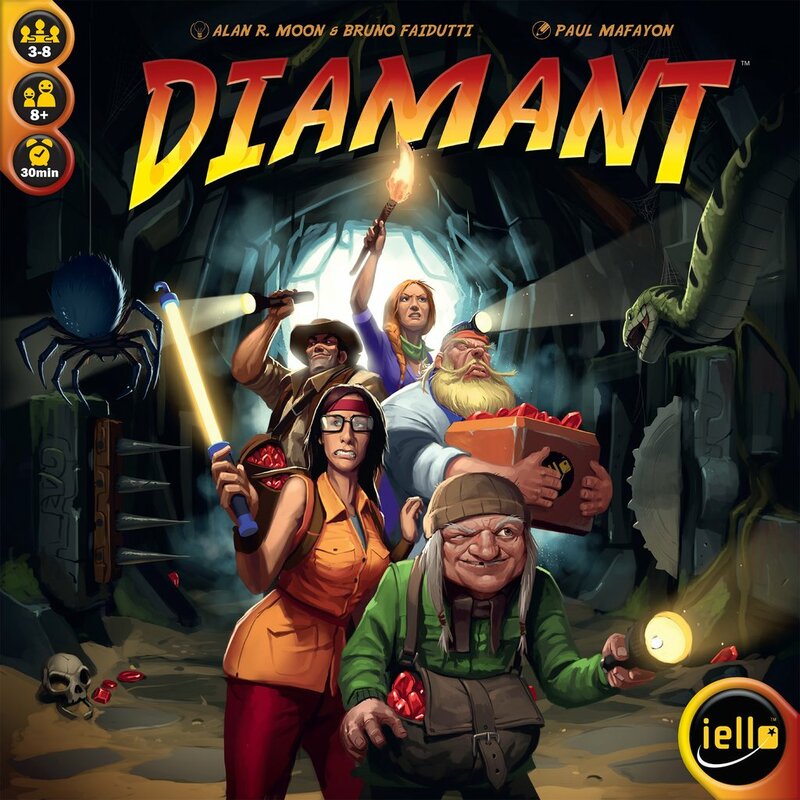 It’s the ultimate master piece in boardgame design, fun, varied, clever, always exciting. Unfortunately, I don’t have that many occasions to play it these last years. Catan is another theoretical favorite I don’t play a lot actually. I have more occasions to play lighter games such as Ave Caesar, Mysterium, Deception, Two Rooms and a Boom. And, of course, poker – mostly draw poker. I often use Ave Caesar, or my Diamant. More recently, I’ve often used Unusual Suspects or Codenames. My first LARPS, in the late eighties. The point in games for me is to generate strong interaction between the players without involving them too deeply, without having to be too cultural or political. That’s why I try to design very interactive games, sometimes bordering on the chaotic, games in which players must focus on what the other players are thinking and planning to do, and not about what’s happening with cards and tokens. Because I’m too lazy to write novels. Designing a game is like writing novel but stopping where the fun part ends – thinking of the systems that drive the action – and the actual works start – writing. 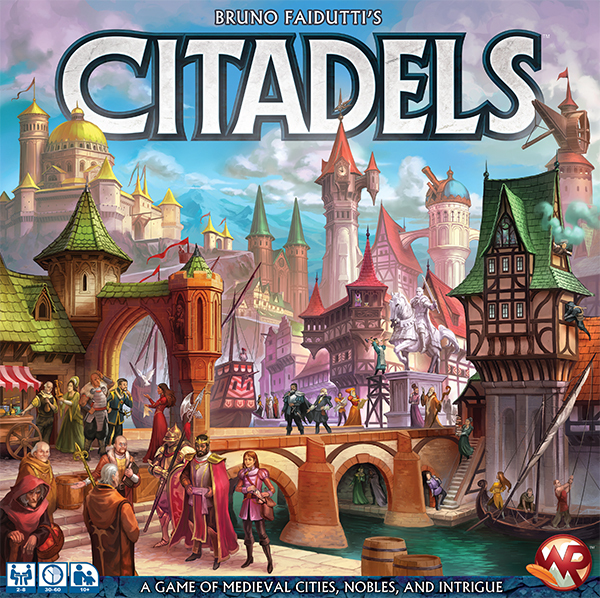 Probably Citadels now, though I needed some time to get there. I designed it more or less at the same time I did Castle, and for long I preferred the latter. I think Citadels has slowly grown on me – but maybe it’s because it’s the only game which makes me real money. It really depends on the game. I can’t answer this question. I’ve tried to answer this question a few hundred times, and I still don’t know how to do it. It can be theme or mechanics, it depends, but the best game usually start with a combination of both. I cannot stay long with an abstract prototype, mostly because I don’t want to play it, but a game with no mechanisms is not a game, when most abstract games are really games. In novels, and in other games. Very often, I start with the idea of « mixing » things from very different games to create something different. I think a designer’s games are always more or less the combination of everything he has enjoyed – or not – in other games. Once more, it’s like with novels, a writer’s books are always the resultant of what he has read.